It’s often said (in some variation): An author needs to be a reader. Most writers are pressed for time, especially if one considers family and career (other than authoring) responsibilities. Even writers who are full-time authors feel there is never enough time. And every minute with a nose stuck in a book is a minute that isn’t spent writing, editing, revising, researching, marketing, and a myriad of other tasks essential for an author to maintain both success and productivity. So, on balance, is the time spent reading worth the potential payoff? For me the answer to this question came into focus during an email exchange with a former crit partner. With a husband and children, work, and moving, she had a lot on her plate. Plus, she’s been revising and editing a handful of novels. My former crit partner didn’t feel she had the time to read. But, during the course of our discussion, she indicated that she’d finally sat down and began reading Flank Hawk, and admitted it’s the first novel she’d read in almost two years. We discussed use of description, including what’s ‘in favor’ on writing forums where we’re active members. While reading my novel, she recognized that the ‘consensus’ on the forums of what works didn’t line up with the way I implemented the use of detail within the story’s narrative. Going back and looking at her latest revision effort, she recognized what was missing and how to make it better. That’s one thing reading does. It offers new ideas and methods, and reminds a writer of what works. Thoughtful reading encourages a writer to avoid writing with blinders on. Reading offers a bulwark against getting caught up in ‘group think,’ at writer forums or in writing groups. Reading and re-reading, and studying how a successful author crafted—tells a story—helps me immensely. 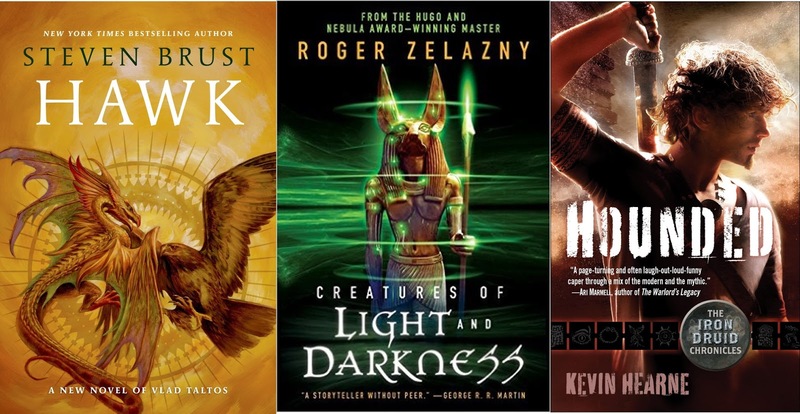 When I’m unsure, trying something new, or get stuck on some aspect of storytelling, I go back and read and study, seeing how successful authors like Steven Brust, Roger Zelazny and Kevin Hearne (to name several of my ‘go to’ authors) did it. Then I apply what I learned to my current work in progress and my writing style. For example, that method enabled me to refine the frame story structure in Relic Tech and create the chapter starts in Flank Hawk. The method provided insight into the techniques to write series sequels (Blood Sword, Soul Forge, and Relic Hunted) that are also able to stand alone. The result is that a reader can start with any novel in my First Civilization’s Legacy Series or my Crax War Chronicles and fully enjoy that novel (story), yet those who’ve already read a novel earlier in the series can equally enjoy all novels in the series that follow. Another reason to read is to spark ideas while recharging one’s imagination. 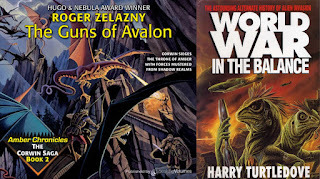 Re-reading and thinking about Zelazny’s Guns of Avalon and Harry Turtledove’s World War Series triggered the thought: How might a dragon fare in aerial combat against a WW II aircraft? That occurrence of pondering resulted in Flank Hawk, the first novel in my fantasy series. Re-reading One Second After by William Forstchen and Gust Front by John Ringo offered additional ideas, and assisted me in moving forward with my most recent novel, Thunder Wells. Reading also invigorates critical observation of the storytelling process, and offers insight and uncovers new twists that a writer might use, improving the available array of writing and storytelling skills. Would anyone expect engineers that design and build cars to refrain from riding in automobiles and note what customers who purchase such vehicles tend to enjoy? Would it make sense for engineers to avoid immersing themselves in the driving experience, where such activities might offer insight into what could be implemented in their next automotive design? 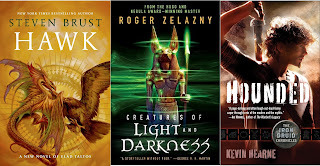 Finally, I find that reading allows me to discuss novels and authors with fellow readers of fantasy and science fiction. This is especially useful at conventions and book signing events. It enables me to both make a connection with potential readers, and to determine if what I write might be of interest to them. And if none of my works are a good match, through reading, I have a plethora of suggestions that might be relevant to the readers’ interest. Time is a finite commodity. There is no argument on that, but it’s a commodity worth spending with a good book or two…or three. 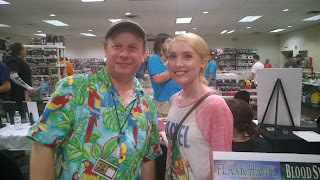 Terry W. Ervin II is an English teacher who enjoys writing fantasy and science fiction. 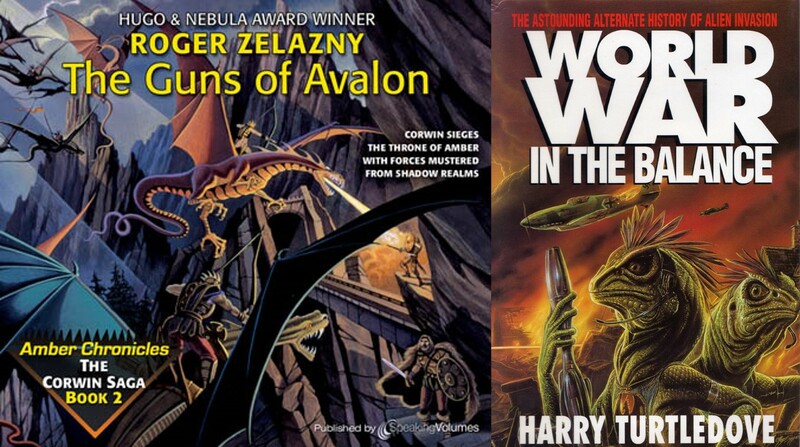 Beyond his new release, Thunder Wells, his Crax War Chronicles (science fiction) includes Relic Tech and Relic Hunted, and his First Civilization’s Legacy Series (fantasy) includes Flank Hawk, Blood Sword and Soul Forge. His short story collection, Genre Shotgun, contains all of his stories previously published in magazines, ezines and anthologies. When Terry isn’t writing or enjoying time with his wife and daughters, he can be found in his basement raising turtles. To contact Terry, or to learn more about his writing endeavors, visit his website at www.ervin-author.com and his blog, Up Around the Corner, at uparoundthecorner.blogspot.com.